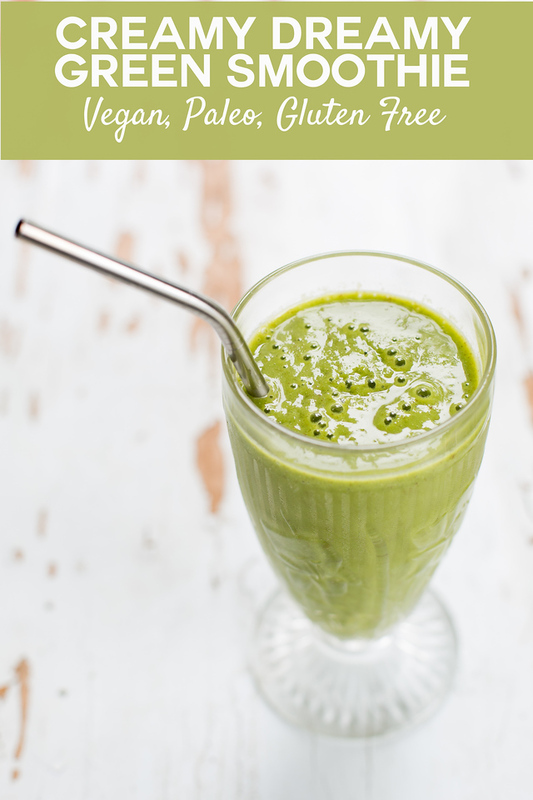 This Creamy Dreamy Green Smoothie is filled with good for you things like bananas, spinach, mangoes, peaches and almond milk making it vegan and dairy free! Perfect for a snack, dessert or breakfast! 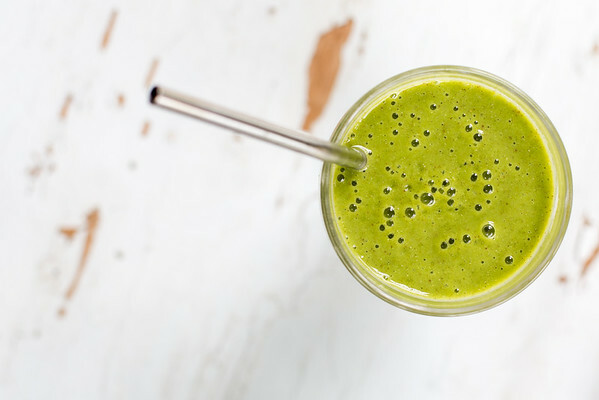 Green Smoothies Perfect for Lunch, Breakfast or After School Snack! Being a blogger and a professional photographer has advantages. It means that I am usually working for home most of the time. This is great for a homebody like me. I get to take breaks and play with the cats. It also means that I have to come up with an idea for lunch everyday. Most days it’s just a sandwich and chips, because by the time I get off the computer and go upstairs to eat, I am usually so hungry, I opt for the fastest. Then the other day, a lightbulb went off. I have a Vitamix and I have the book, The Blender Girl Smoothies. I could be making a nutritious smoothie for lunch! I settled on this Creamy Dreamy Smoothie. I could easily make this smoothie because I had everything I needed on hand. Since getting my Vitamix, whenever organic fruits (and some veggies) are on sale, I buy them and freeze them, like this Freezing Kiwi for example. So, right now in my freezer I have bags of spinach, kale, peaches, kiwi, mangoes, strawberries, raspberries, pineapple, blueberries and probably more. I am pretty much ready for any smoothie recipe you through at me. 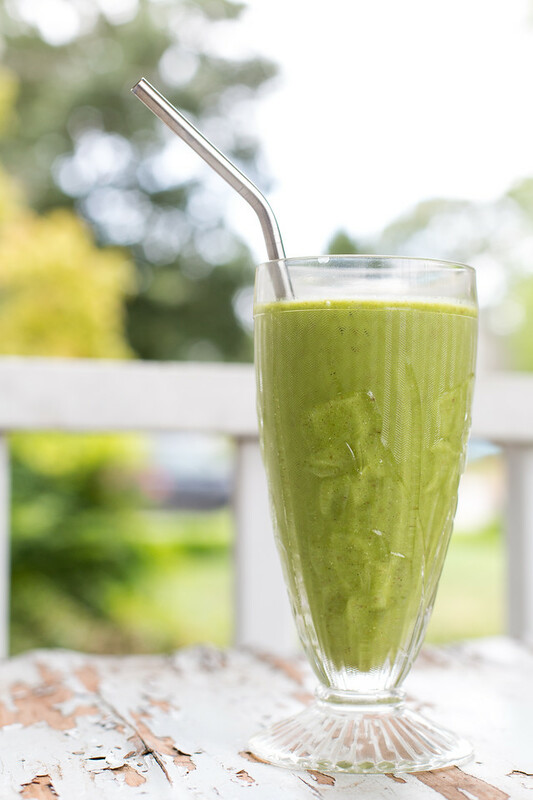 This smoothie almost tastes like dessert, but it is so good for you! Made with almond milk, bananas, spinach, mangoes and peaches! It is sweetened with maple syrup and you can boost it’s nutrients even more with chia seeds, flaxseed oil, or lucuma powder. This Creamy Dreamy Smoothie is vegan and dairy free with almond milk, spinach, bananas and mangoes! Add the ingredients in the order listed into your blender. Blend on high for 30 to 60 seconds or until desired consistency. Smoothie recipes like this one are my favorite! Thanks for sharing! I love spinach in smoothies with fruit because you can’t even taste it! I can never get enough smoothies! Your recipe looks awesome and thanks so much for sharing it with us at Full Plate Thursday. Have a great day and come back to see us real soon! creamy dreamy smoothie looks delicious thanks for sharing with Hearth and soul blog hop, tweeting. Sounds delicious! Can’t wait to try it. Thank you for posting on the Merry Monday party. Yum, yum yum. I have a similar green smoothie each morning. With peanut butter and no mangos or peaches. I should switch it up a bit with this one. How many smoothies does the recipe actually make? It seems an awful lot for one drink and I can’t imagine you could eat that much in a setting. Can you taste the spinach? It makes 2. You can taste the spinach a little bit. It definitely tastes like something healthy. It sounds delicious, but the color is a little off-putting. But it’s a great idea for a hot summer day!